You might have noticed last week that the Special Olympics was at the center of a brouhaha after Education Secretary Betsy DeVos confirmed there were plans to cut its $17.6 million in government funding. The public outcry was so fierce that President Trump quickly reversed his education secretary’s decision and authorized the funding. Maybe he realized that cutting the funding made it look like his administration was cruel, cutting access to inclusive programs for people with intellectual disabilities. The Special Olympics has roots in an innovative summer camp that Eunice Kennedy Shriver started for young people with intellectual disabilities in 1962 in her backyard in a Washington, D.C. suburb. She wanted to see if they could participate in sports and physical activities. It was a revolutionary idea at the time. When the first Special Olympics games were held in 1968, people with intellectual disabilities did not have many opportunities to take part in sports. Many lived in institutions. Most could not go to school, as several years would have to pass before the law said kids with disabilities had the same right to an education as everyone else. The Special Olympics ultimately became one of the first places where people with intellectual disabilities could be seen and accepted. Both kids and adults now participate in Special Olympics sports. By the 1980s, the Special Olympics was recognized as the premier sports organization for people with intellectual disabilities around the world. By 2016, the Special Olympics exceeded its ambitious goal of getting 1 million athletes and partners involved in Unified Sports, which brings together people with and without intellectual disabilities on the same team. These days, 4.9 million athletes with intellectual disabilities take part in Special Olympics programs around the world. In addition, more than 1 million coaches and volunteers are involved. There are 223 programs in 172 countries. In March 2019, Angela Athenas, 34, of Huntington, N.Y., won a gold medal in deadlift, squat, bench press, and overall weight lifting at the International Special Olympics in Abu Dhabi. Her heaviest deadlift was 292 pounds.” I keep going and I never stop going,” Athenas told Eyewitness News. Although she has ADHD, bipolar disorder, and a mild intellectual delay, they haven’t limited her ability to be a standout in her sport. “The best part about being involved with Special Olympics is to meet new friends and to prove that people with disabilities can do anything that we put our minds to do,” wrote Robert Moore, 27, an equestrian with autism from Tampa, Fla., who won a gold medal for dressage, a highly skilled form of riding. He has been going to the Special Olympics for 16 years. As a young child, he suffered from poor core strength and sat curled in a ball. Working with horses, which involves considerable core power, starting at age 5 changed that. The Special Olympics offers many ways to get involved including short- and long-term volunteer opportunities, the option of playing unified sports, and becoming a Special Olympics athlete. It’s every caregiver’s nightmare: Someone goes wandering off. Then a search is mounted. For caregivers of autistic kids and adults, their tendency to wander can be worrisome. Nearly one-third of reported Autism Spectrum Disorder (ASD) missing person cases related to wandering/elopement from 2011 to 2016 in the United States ended in death or required medical attention, according to a 2017 National Autism Association study. The study was based on more than 800 media-reported missing person cases in the U.S. involving people with ASD. An attraction to water seems to pose a high risk. Accidental drowning was responsible for more than 70 percent of lethal outcomes, followed by fatal traffic injury (18 percent). At the time of elopement, nearly half (45 percent) of the individuals were under some sort of non-parent supervision. 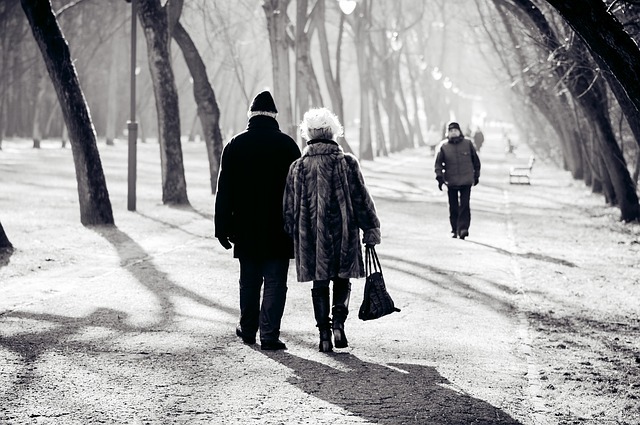 Times of transition, commotion, and stress were associated with increased risk of elopement. And those who were upset or agitated tended to show a higher risk of abruptly going into traffic or other high-risk situations. What can parents, guardians, and caretakers do to prevent such needless deaths of individuals with ASD who might be prone to elopement? Be aware of bodies of water near places the individual frequents. Talk to those closest to the individual in your care. This includes neighbors, teachers, friends, and extended family. Anyone who might be near your family member when he or she wanders away may turn out to be the first person who can help find him or her quickly. Tell these people what your family member is attracted to or scared of, as this information could turn out to be valuable clues if the person goes missing. Teach the individual to swim. Many YMCA locations offer swimming lessons for people with special needs. The final lesson should be with clothes on, according to AWAARE. Just realize that teaching a family member to swim does not mean he or she will be safe in water. If you or your neighbors own a pool, put a fence around it. Let your neighbors know about your family member’s tendency to wander and the need to take safety precautions. And remove toys or anything that might be of interest from the pool when it’s not in use. Give the individual a medical ID bracelet to wear. Of those autistic people who wander, many may be nonverbal. So, they would likely not be able to communicate with those searching for them. The ID bracelet should include your name, telephone number, and any other critical information. For example, it might state that your family member has autism and is non-verbal. If the individual refuses to wear a bracelet or necklace, consider a temporary tattoo with your contact information. Consider putting a tracking device on the individual. Check with local law enforcement for Project Lifesaver or LoJak SafetyNet services. These tracking devices may be worn on the wrist or ankle and can locate the individual via radio frequency. GPS tracking systems are also available. Keep an especially close eye on the individual when you observe agitation or someone is upset. These are the times a person with ASD is particularly at risk of engaging in risky wandering behaviors. 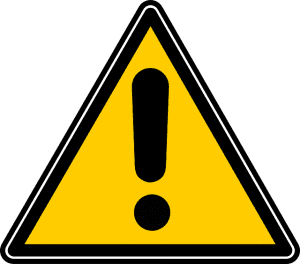 Alert first responders before anything happens: According to AWAARE, preparing first responders with key information before an incident occurs can improve response. Create an informational handout including all pertinent information. Caregivers should carry these at all times. Give the handout to family, neighbors, friends, and co-workers, and first responders. Taking steps now could either prevent the wandering or at least lay the groundwork for more easily locating a missing person. For neighbor alert form, safety tips, an autism elopement alert form, and more, visit https://www.autismspeaks.org/sites/default/files/2018-08/Safety%20Forms.pdf. For Philadelphia resident Sharon Smith, working for Casmir Care Services is a family affair. As a social service aide, she cares for her first cousin, Gerard, 44, and her brother, Eddie, who is 58. Casmir Care Services provides professional in-home and community care that helps enrich the lives of people with disabilities, individuals recovering from illness or injury, and adults with special needs. Gerard recently received a Casmir Champion Award in recognition of his 10-year relationship with Casmir Care Services Inc.
Sharon is one of about 40 people who are both Casmir staff and family members. “Working with Casmir Care has been very pleasant,” Sharon says, citing staff support and the community. When her brother lands in the hospital, they reach out to check up on him and her. “They’ve almost become like a family,” she says. 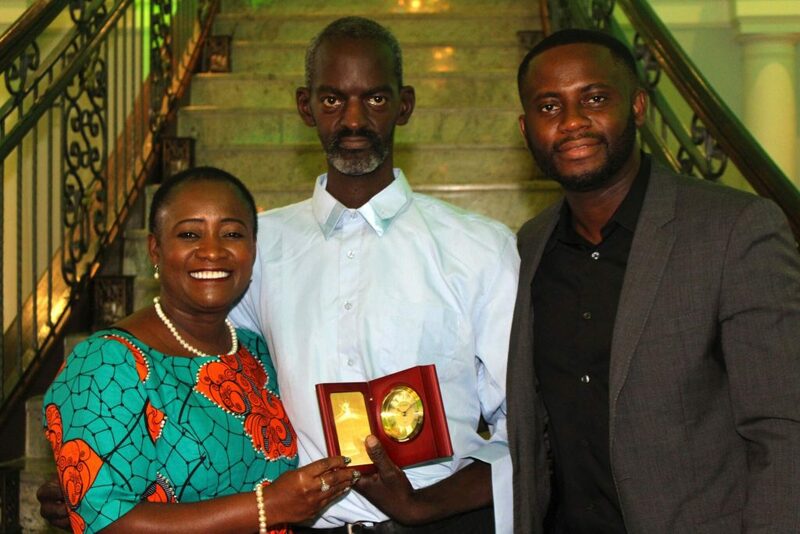 Gerard accepts an award from Chetachi Dunkley-Ecton, CEO of Casmir Care (left) and Godwin Nwoga, Dir. of Operations (right). Casmir started caring for her cousin 10 years ago. A few years later, Sharon joined as a staff member. Before coming to Casmir, she had worked in the mental health field for more than 20 years, but helping her cousin was her first experience working with a family member. Casmir has cared for her brother for 7 or 8 years. These days, Sharon helps both her cousin and brother with day-to-day needs, including bathing, laundry, groceries, and getting them out into the community. Since her brother wants to learn to read and write, she’s helping him on that front too. Gerard is a bit more independent, although he still has the mindset of a child. And while people may have trouble understanding her brother, Sharon notes that his main problem is health problems like heart issues. Before coming to live with Sharon, her cousin lived with his mother. Gerard was used to coming and going as he pleased and “doing his own thing,” she recalls. He would go to bed when he wanted. After his mother got sick and left, he came to live with Sharon, who provided structure that he wasn’t used to. For instance, she makes sure he bathes regularly. These days, another clear improvement, she says, is that he doesn’t elope as often. In the old days, he wandered off almost daily, sometimes getting beat up. Sharon credits the structure and hands-on support from staff for making a difference. Gerard sees the same faces over and over. Three times a week, he goes to a day program that gives him a chance to be among peers, doing little jobs. And he sees a behavioral specialist once a week. When you’re a caregiver for someone with intellectual disabilities, Sharon says, really listening to what they have to say can be helpful. Treating people with disabilities as a person who has a point to make can help you serve them better, she says. For example, Gerard dreams of driving tractor trailers. But because of his intellectual disability, this dream isn’t likely to become a reality. But there are ways to support and encourage his interest, says Sharon. She and others take him to go see trucks. Two of her older brothers are truck drivers who let Gerard sit in their trucks and mess with stuff in there, she said. And sometimes when they go to work, they take him along. Listening closely to his desires and his wants, says Sharon, is a way to support his interests, because getting that input helps others support him in tangible ways. What Qualities Does Casmir Care Services Seek in Its Best Applicants? 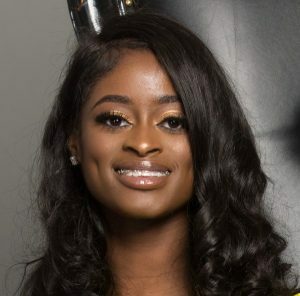 To help applicants get a better idea of what Casmir Care Services Inc. looks for when evaluating job applicants, we asked Chinyere Dunkley, our assistant director of Human Resources, to share what qualities and abilities we look for. Q: What basic skills, qualities, and abilities do you look for in every strong caregiver applicant? A: Every strong caregiver applicant is someone who is patient, flexible, compassionate, innovative, creative, honest, and empathetic. Strong applicants are good at communicating and can advocate for our individuals effectively. This is someone who is attentive, dependable trustworthy, encouraging, and supportive with good problem-solving skills. Most importantly, we look for someone who is passionate about our company and its mission and willing to learn and grow with the company. Q: What kinds of experience do you seek in applicants? A: We look for at least one year of experience. But we encourage people who are willing and have an urge to learn and gain experience as well as grow in the field to apply. We offer extensive training and have a management team that strives to help employees become the best employees whether they have experience or not. We also understand that people do need to at least start somewhere. Q: What is the title for the job opening that you find yourself most frequently hiring for? A: The job opening that I find myself most frequently hiring for is Direct Support Professional/Residential Aide and Site Supervisor. Q: When you think about applicants who were particularly strong, what made them pop out of the pile of job applicants? A: The most outstanding applicants are usually those who fill their application out in its entirety and are very detailed on their application, most importantly, on the survey questions. Q: What are turnoffs or red flags on applications? Or when you contact professional references? A: I notice when people answer certain questions wrong like their date of birth, the continuous misspelling of words, gaps in employment, and those who answer the surveys with one word or only offer personal references. Q: When you interview applicants, are there any common mistakes they make? A: Sometimes applicants doubt themselves and instead of guessing and/or trying to learn while in the interview, they shut down and say, “I don’t know,” or “I don’t want to be wrong,” because they think they may get a question wrong. Q: What are rare traits or qualities that you would love to see more of? A: We would love to see more people who come to work for the sole purpose of caring for our individuals and not to gossip, fraternize, and collect a paycheck. Casmir Care Services is hiring Direct Care Professionals and Caregivers for individuals with disabilities. Come to our open house and learn about Casmir Care and the individuals we serve. In the depths of winter, more people say they feel tired or depressed. For some, it’s a normal response to less sunlight. Just the winter blues. For others, it can be a deeper, clinical form of depression called Seasonal Affective Disorder (SAD) that’s a regular pattern of mood changes that leaves people feeling gloomy during the fall and winter months, when there’s less natural sunlight each day. If someone you’re caring for is suffering from SAD, it might seem like they’re hibernating. They tend to lose interest in activities they used to enjoy. Symptoms may include sadness, feeling hopeless, worthless, or irritable, low energy, difficulty sleeping or oversleeping, carbohydrate cravings and weight gain, and thoughts of death or suicide. Without treatment, the symptoms usually last until the days start getting longer. Since depression can be trickier to spot in individuals with intellectual disabilities and autism, and SAD is a form of depression, caregivers should realize that SAD may manifest in different ways. While people suffering from SAD may be less active when frustrated or feeling hopeless, it’s possible that someone with ID might bang his head or exhibit other behaviors. The exact causes of SAD are not clear. But researchers have found that people with SAD may suffer from an imbalance of serotonin, a brain chemical that affects mood. Their bodies may make too much melatonin, a hormone that regulates sleep, and not enough vitamin D.
The people most at risk for Seasonal Affective Disorder tend to be younger females who live far from the equator and come from families with a history of depression, bipolar disorder, or SAD. In the early 1980s, researchers first discovered a link between light and seasonal depression. They pioneered the light therapy, which has become a first line treatment for SAD. With light therapy, patients sit in front of a light box every morning for at 30 minutes or more, according to a doctor’s recommendation. The light shines brighter than normal indoor lighting and relieves symptoms in up to 70 percent of patients after a few weeks of treatment. A town in Norway took light therapy to a new level. Three huge mirrors stand on the mountainside above the town of Rjukan, according to Mosaic. The mirrors are mounted in such a way that it turns to track the sun while continuously reflecting its light down to the town square. Studies also show that certain antidepressants can help treat SAD and prevent winter gloom. And mounting evidence shows that cognitive behavioral therapy (CBT), a type of talk therapy, can also help people with SAD. It involves identifying patterns and errors in one’s way of thinking and challenging them, according to Kelly Rohan, a psychologist and SAD expert. Patients with SAD might rephrase thought such as “I can’t do anything in winter” to “It’s harder for me to do things in winter, but if I plan and put in effort, I can.” Therapy can also involve finding activities that a person wants to do in the winter to pull out of “hibernation” mode. Whether you or someone you’re caring for suffers from SAD, know that you can change your thinking and behavior and feel a bit better at this time of year. And with your help, they may be able to feel better too. If you’re a parent or caretaker of someone who shows signs of having Seasonal Affective Disorder or perhaps experiencing it yourself, these tips from the National Institutes of Health can help lighten the effects of seasonal depression. Go to a movie, take a walk in a park, go do some other activity you normally enjoy. Get out in the sunlight or brightly lit spaces, especially early in the day. Spend time with other people and confide in a trusted friend or relative. Eat nutritious foods. Avoid overloading on carbohydrates like cookies and candy. Be patient. You won’t snap out of depression. But your mood can improve gradually. See a mental health professional if sadness doesn’t go away or interferes with your daily life. To celebrate National Intellectual and Developmental Disabilities Awareness Month this March, let’s take a look at the nonprofit, Best Buddies International. It is the world’s largest organization dedicated to ending the social, physical and economic isolation of the 200 million people with intellectual and developmental disabilities (IDD). Some of its programs empower people with IDD by helping them form meaningful friendships with their peers. Because young adults with IDD are often isolated at home or in work environments, Best Buddies offers several options for one-to-one friendships. Typically, a person with a disability is paired with another person without a disability. The college program fosters one-to-one friendships between college students without IDD and their peers on campus or in the community with IDD. The Best Buddies meet two times a month. The program gives people with IDD a way to be involved in their local campus and community life. This option often involves having a service provider pair up with a college chapter of Best Buddies. In Philly, Temple University, University of Pennsylvania, and Saint Joseph’s all offer Best Buddies chapters. In eastern Pennsylvania alone, there are about 65 chapters, but many are for K-12 kids. 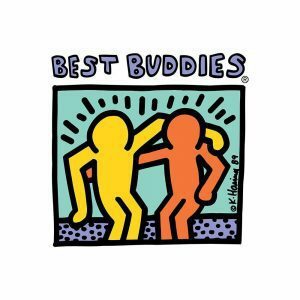 For adults with IDD who aren’t affiliated with a service provider and/or don’t live near an existing college chapter, Best Buddies in Pennsylvania also offers the newly launched Citizen’s Program. This program offers a more customized experience that involves a one-on-one friendship with an adult volunteer in the community. Typically, this program fosters friendships between adults with and without IDD in civic and corporate environments. Everyone involved—the potential peer (person with a disability) and peer buddy (person without a disability)—undergoes a background screening. While the Citizens Program offers opportunities to get together as a group from time to time, it’s primarily a one-to-one relationship where the buddy and peer buddy are advised to get together for a minimum of four hours a month and then stay in touch weekly, whether by phone or email. The frequency helps a natural friendship develop. “We go to great lengths to match people based on common interests,” said Milli Protheroe, area director for the Philadelphia office of Best Buddies. It’s important for the people involved to live in the same community so the relationship can be easily sustained. They typically match people of the same gender. She noted that the Citizens program is in the recruitment phase with 60 applicants so far. They are looking for people with and without disabilities to be a part of the program. Sometimes to simplify matching, Best Buddies partners with a business or organization. In Delaware, for instance, the Bank of America chapter holds a monthly brown bag lunch for its Best Buddies. As a group, a Best Buddies chapter might hold a talent show, karaoke nights, or something as simple as a movie night. Sometimes the chapters coordinate with each other and throw a big field day or a Thanksgiving event as a way to bring people together. The Best Buddies in college chapters are required to meet two times a month. One of those activities might be a group outing with the chapter. And the other might be a one-on-one outing. Speaking from personal experience, Protheroe said she was matched with a buddy in the Citizens program. Each month they get together for something fun in Philly. They went to Penn Museum to see the sphinx exhibit. They’ve gone to movies like “The Greatest Showman,” “Crazy Rich Asians,” and “Won’t You Be My Neighbor?” Often, it’s a movie and then dinner where they discuss the movie. They’ve painted pottery. And she noted that there are lots of free things one can do in Philly. The art museum is free on Sundays. And there’s always something going on at Penn’s Landing and Franklin Square. The relationships help people overcome feelings of isolation and loneliness, build their confidence, helps with life skills such as communication and conversation skills. The experience is “life changing for a lot of our participants both with and without disabilities,” said Protheroe. Being around people of varying talents and abilities can really enhance your own skills, she noted. If a caregiver wants to get the individual they care for into a One-to-One program, you can contact a college chapter directly and try to make a connection. Or you can reach out to the Best Buddies office at 888.604.7376. And the office will try to help connect you with the right people at a local chapter or with the Citizens Program. Companies are beginning to actively recruit neurodiverse people, according to Here & Now. As we pause to honor civil rights leader, Martin Luther King, Jr., let’s take a look at a small trend but long-awaited trend. Companies are finally beginning to welcome neurodiverse people to the workplace. Different human wiring in neurodiverse populations translates into neurological differences that show up in dyspraxia, dyslexia, attention deficit hyperactivity disorder, autism, Tourette Syndrome, and others, according to the National Symposium on Neurodiversity at Syracuse University. According to Harvard Business Review, a rising number of companies have made their HR processes more inclusive to accommodate neurodiverse talent. They include SAP, Hewlett Packard Enterprise, and Ford. The longest running program is SAP’s, which started in 2013. People often underestimate the neurodiverse even though they may have the skills for a job. Prospective employers tell them they are not a culture fit. Sometimes fidgeting or a failure to make eye contact during a traditional interview process can take a person out of the running. Given the requirements of typical interview processes, perhaps it is not a surprise that most people with autism are unemployed. According to the Boston Globe, advocates see the neurodiversity movement as a civil rights issue. These aren’t disorders, they argue, they just reflect normal variation in humans. And these people should be accommodated. Because the traditional interview process is even more of a challenge for people on the autism spectrum, Microsoft tweaked its hiring process to “screen people in” in a more inclusive way said Barnett, who leads Microsoft’s Autism Hiring Program. Under the Autism Hiring Program, candidates can come and be themselves and showcase their skills over a five-day period, said Barnett. The company lets candidates get to know each other and the hiring team. They do team exercises, like using marshmallows and toothpicks to build a bridge. This gives Microsoft a way to assess a person’s demonstrated capacity for teamwork. And the applicants spend time doing practice interviews. Instead of one day of back-to-back interviews, they spread it out over two days. There are benefits to including neurodiverse workers in your workforce. Neurodiverse people see the world differently, according to John Elder Robison, an advocate and author with Asperger’s syndrome. That can give them a competitive advantage in certain fields. With autism, for example, people may spot patterns that other people cannot. Such a neurological gift can help people test software for bugs and errors. Companies have profited from lower product defect rates and higher productivity of neurodiverse workers, according to Harvard Business Review. And at SAP, neurodiverse employees helped develop a technical fix that saved an estimated $40 million. Sometimes accommodations for neurodiverse employees benefit all workers. Because autistic employees don’t necessarily catch nuances or irony, corporate communications at one company became more direct and clear overall. A strong health care agency with the capability of sustaining and extending quality health care services to all intellectually and developmentally disabled individuals in Pennsylvania and surrounding states. Our goal is to ensure peace of mind for families and loved ones who are faced with the challenges of placing relatives in nursing homes and other treatment facilities. We offer a wide array of non-medical services tailored to the unique needs of the individuals we care for.